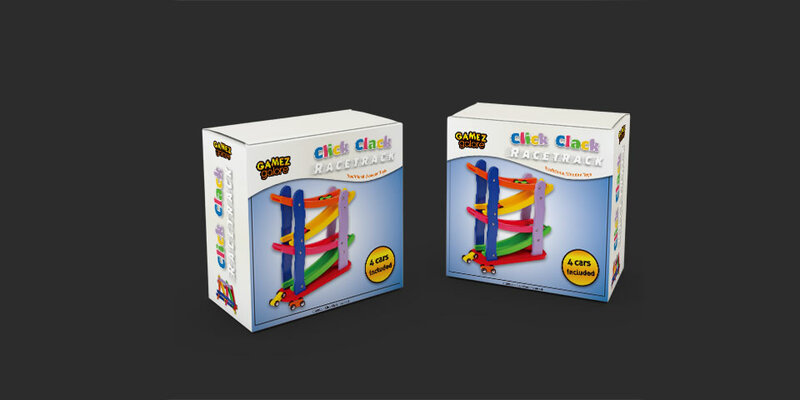 I was asked to design a toy box packaging for a ‘Click Clack Racetrack’ suitable for very young children. The design therefore had to be bright and fun, reflected with a unique logo for the toy’s name. The design had to be laid out according to die cut lines in Adobe Illustrator for production in China. 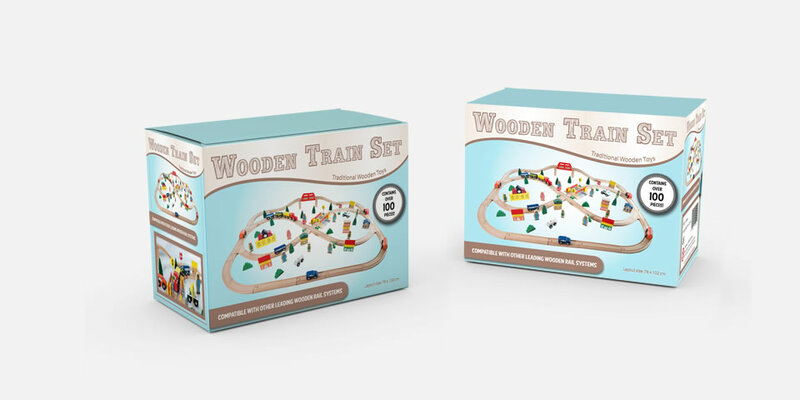 In a similar style, I created the ‘Wooden Train Set’ box. This was geared towards slightly older children reflected in the more limited colour scheme whilst maintaining the unique and fun design achieved through use of wood grain textures.